Cool Pools is an award winning company 7 years running. 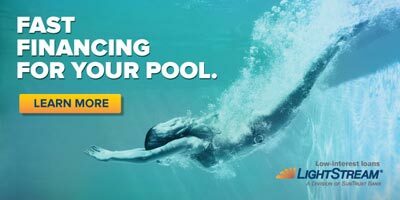 Have a look at your financing options, and let them help you get your pool started. Need Funds for your Project? "Thank you so much! Two days from start to finish. Absolutely the most painless experience I've ever had getting a loan." Cool Pools NC LLC respects your privacy. We do not sell, rent, loan or transfer any personal information regarding our customers to any unrelated third parties. Any information you give us about yourself is held with the utmost care and security and will not be used in ways to which you have not consented. Information collected on our Web site is collected and used by Cool Pools NC LLC Pools. Examples of personally identifiable information include full name, home address, e-mail address, and phone number.